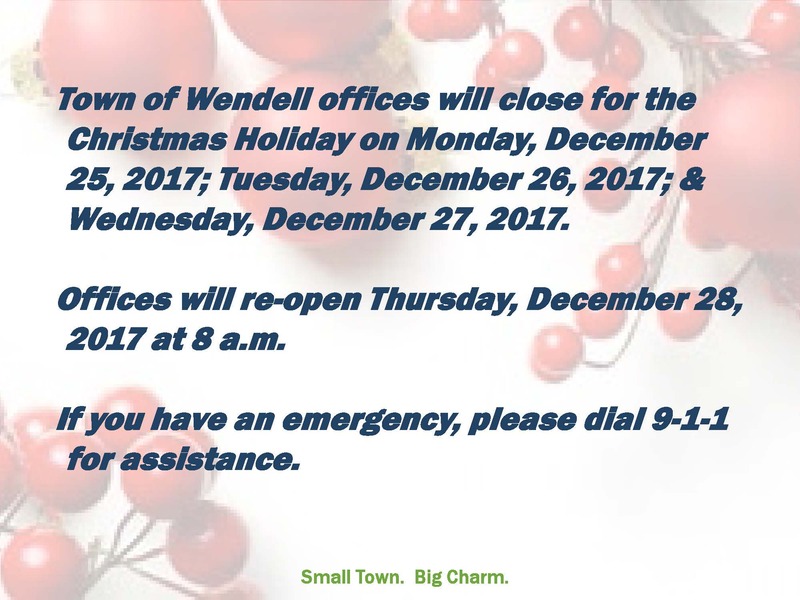 Town Hall closed for the holiday Monday, December 25, 2017 through Wednesday, December 27, 2017; re-opening on Thursday, December 28, 2017. Waste Industries is closed on Monday, December 25, 2017. Roll your trash and recycling carts to the curb Monday evening for pickup on Tuesday, December 26, 2017.